The Trentham Rifle Brigade was formed at the outset of the Great War by the Earl of Liverpool; the Governor of New Zealand. 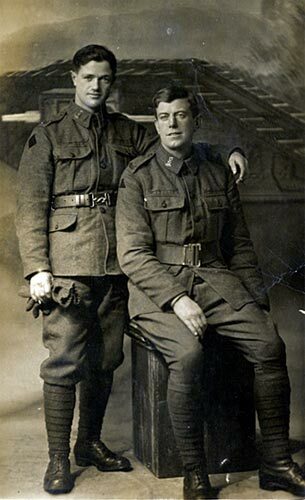 The Brigade was subsequently included within the newly formed New Zealand Rifle Brigade (NZRB) on 1st May 1915. 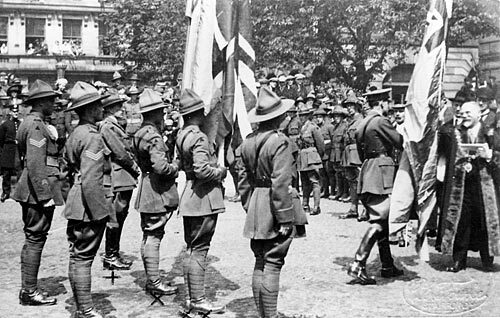 The Brigade arrived and trained in Egypt between November 1915 and April 1916 after which they embarked for France. 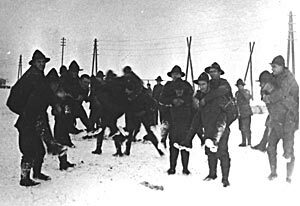 Following their arrival further training followed to acclimatise troops and to keep soldiers up to date with current combat techniques. The NZRB finally entered the line east of Armentieres on 13th May 1916 as part of the British Second Army. Training was an important part of the soldier’s life. 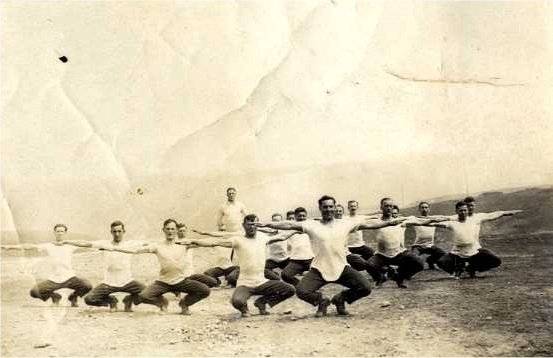 Platoons were drilled to maintain field discipline and levels of physical fitness while specialists and officers attended courses behind the lines or even back in England. However, nothing could prepare new troops for life at the front. Here ground conditions, a high water table and constant shelling had created a maze of flooded craters, destroyed emplacements and new defences. Apart from trench raids, the Brigade saw comparatively little action with 5 men killed and 54 wounded in their first month on the line. The first major offensive the NZRB took part in was the Battle of the Somme fought between July and November 1916. On the first day's fighting there were almost 60,000 allied casualties including 19,240 dead. The New Zealand Rifle Brigade entered the fray in the 3rd phase of the battle attacking trenches to the northwest of Flers and the High Wood outside the village. By the 18th September, after heavy fighting the Brigade achieved all of its mission objectives and was withdrawn to the Divisional Reserve. The Brigade played a further role in the renewed attacks from 25th September and was finally returned to camp around Armentiers in early October. During the offensive the NZRB suffered 59 dead with 1,441 wounded. A further 233 were listed as missing in action. The village of Messines occupied a ridge which commanded the area to the south of Ypres and this feature formed a strong point in the German defences. The British had been removed from here in the Autumn of 1914 and preparations were under way in 1916 to recapture the area in advance of a general offensive. Extensive training including the use of large scale models began well before the assault and mines were constructed out beneath No Man’s Land and under the German positions. The assault commenced without the customary artillery barrage but instead with the detonation of explosives packed within 19 mines constructed below the German positions. The capture of Messines was the responsibility of the New Zealand Division which included the NZRB and following a ‘sharply fought action’ in which the German garrison commander and his staff were captured the village was under NZRB control (The Official History of the New Zealand Rifle Brigade, 1924). In this action Lance Corporal Frickleton won the Victoria Cross for the destruction of two machine posts whilst wounded. During June 1917 and including the 21 days fighting at Messines the Brigade suffered 164 men killed, 947 wounded and 165 listed as missing in action. Most instructors were seasoned veterans and various inspections praised the work of the brigade in training recruits. General training included: formal drill, bayonet fighting, protection against gas, physical training, musketry and the all-night occupation of trenches. Specialists were also trained at the camp including Lewis gunners, signallers, scouts and bombers. Many of the features associated with these training regimes survive upon the Chase as earthworks including practice trenches and large rifle butts. Civilian labour had built the camps and many locals worked in the camps throughout their operational life in maintenance and services such as the laundries, canteens, shops and the hospital at Brindley Heath. 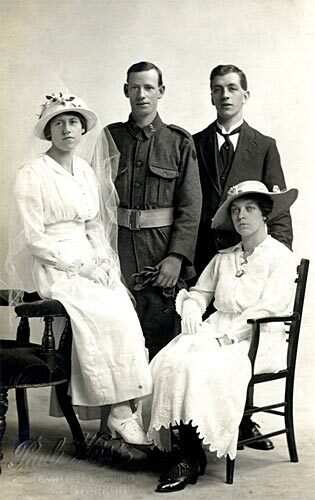 Good relations between the NZRB, neighbouring army units and the surrounding civilian population were maintained through visits, concert parties, musical concerts and tea dances. Many brigade members enjoyed the hospitality of the brine baths in Stafford and of the tea shops and hostelries in the area. 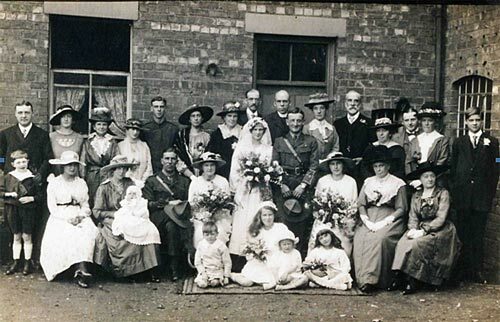 Some New Zealanders made a lasting impression by marrying local girls as can be seen in the following wedding photographs.